Welcome to the lost age of chivalry, a time of magic and myth where you must rule the land as one of the era’s living legends: Arthur, the son of Uther Pendragon, and the Once and Future King spoken of in prophecy. Fulfill your destiny and claim your rightful place on the throne of Britannia. Send your heroes and their followers to battle legendary warriors and monsters, while saints and faerie folk test their mettle against wizards and evil knights. Real-time fantasy battles: Engage in spectacular fights featuring thousands of soldiers and renowned heroes, such as Sir Lancelot and Merlin. Turn-based campaign map: Britannia is represented as a three-dimensional topographic map. Create your own legend: The saga of King Arthur, an epic tale about the conquest of Britannia, is told through a story-based campaign. Morality Chart: Every decision you make in the game will influence King Arthur’s position on the Morality Chart. These choices unlock special content, allies, heroes, units, and developments. RPG elements: Heroes learn skills, spells, and abilities. They can also use magic items or become liege lords, entrusted with the leadership of a province. 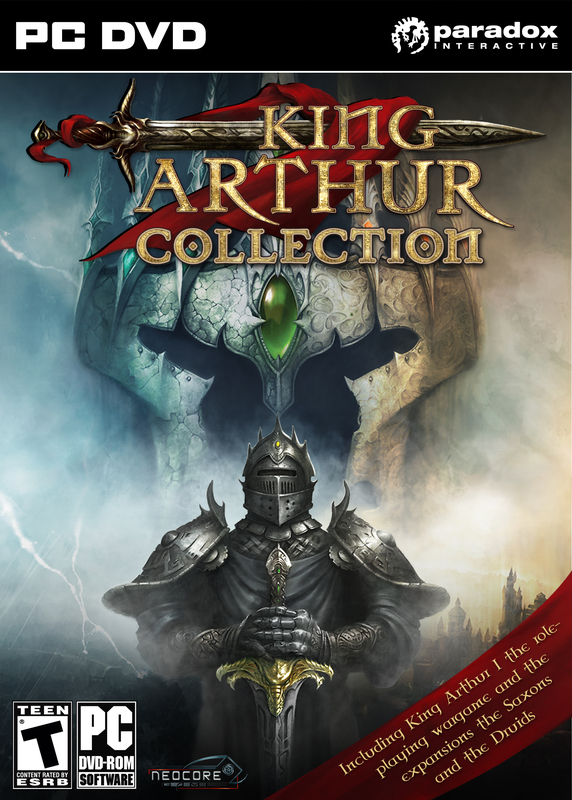 King Arthur: Collection Released on Desura! Fulfil your destiny and claim your rightful place on the throne of Britannia. Send your heroes and their followers to battle legendary warriors and monsters, while saints and faerie folk test their mettle against wizards and evil knights. Enjoy King Arthur: Collection and many other great games on Desura. The playable King Arthur demo.